During 1990s, before introducing globalization and information technology, I had been with an import export firm engaged in the procedures and formalities of imports in India. There were more than 20 different customs officials involved to complete import procedures and formalities in a Bill of Entry which is the customs document filed for import clearance. I think, the people who had been during the same period can feel now like a ‘joke’ by recalling the said procedures and formalities. Now we live in a neo-liberalized trade all over world and let me keep aside about the advantages and criticisms of globalization, as I do not want to deviate my mission from ‘ Sharing knowledge and experience’ to ‘politics’. Am I right? The introduction of software with minimized cost was a great revolution who lives in this generation all over the world. I would like to point out with no doubt, the said two indicators of globalization and software revolution made import procedures simplified to two or three customs official’s direct involvement in taking delivery of an import shipment where in there were more than 20 customs officials in 1990’s!. I do not deny that many officials of government agencies observe in ‘shadow’, monitoring all import movements through online, sitting in various parts of the country. This can be done, because of centralized software for imports, used by customs by linking all ports of country together. Bill of Entry is the prime document to be filed with customs in import clearance procedures which is mandatory. 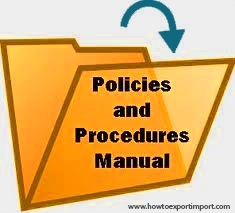 Once after filing import bill of entry by importer or his customs broker, necessary import clearance procedures and formalities are completed. The major two import clearance procedures with customs are value appraisement of imported goods and examination procedures. Recently, government has introduced Risk Management System RMS, and Green Channel clearance which minimize dwell time of importers in import clearance procedures and formalities. Once after completion of the above import clearance procedures, customs officials allow to take delivery of goods by mentioning in bill of entry as ‘Passed Out of customs’. Importer can take delivery of goods after paying necessary import handling charges to custodian of cargo. I have written another article about Import Customs Clearance Procedures and Formalities in this website. You may go through the same to have more information about import clearance procedures and formalities. In this article, I have tried to compare clearance procedures during 1990s and latest import clearance procedures - the international trade procedures before globalization and after globalization, the brief idea of import BE filing procedures in import customs clearance. Do you wish to add more information about import clearance procedures and formalities? Share below your experience in handling import clearance formalities in India or other countries. Comment below your thoughts about this article - What happens, once Bill of Entry for Imports files? Manoj mishra: On 22 August 2016 Can we accept the ware house bill of entry as evidence of imports as per FEMA ? Abhishek Jain: On 13 December 2018 I have a query. For example x made an import from y. At the time of landing of cargo x dont found the product send is completly different and y denied to take any action over it. x left with no choice else to abanon the cargo. How will x abandon the cargo?